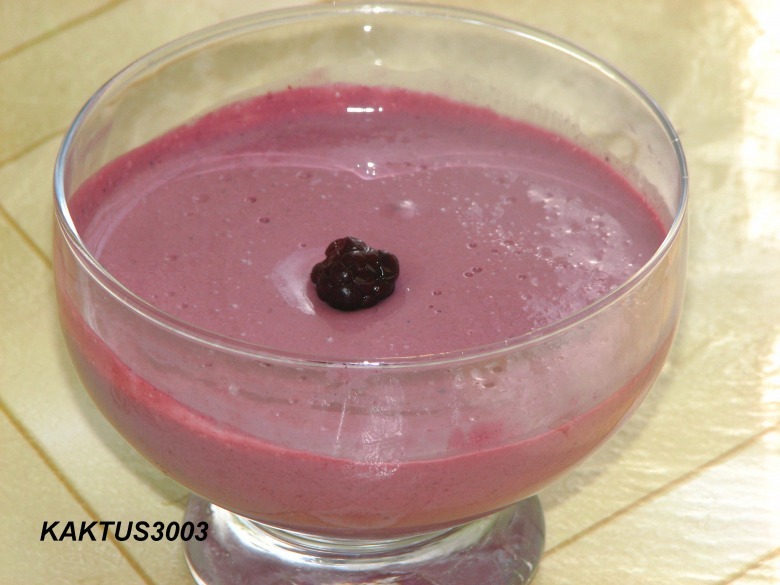 Pour gelatin with 2-3 tbsp of room temperature water. Wash blackberries. Leave some berries for decor, grind the rest in blender. 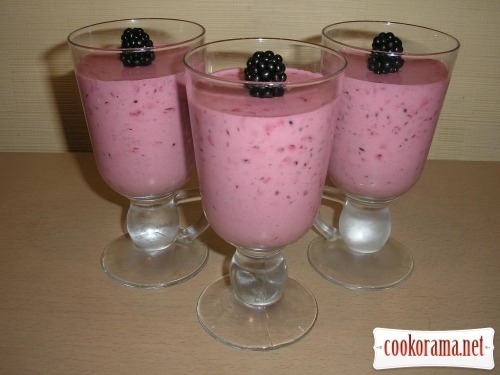 Mix sour cream with sugar and grinded blackberries. Heat gelatin on water bath till complete dilution. Add gelatin to sour cream mass, mix well. 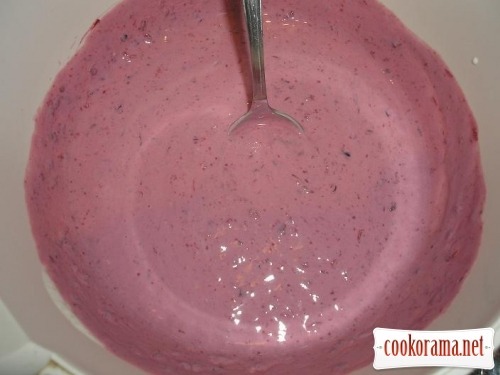 Pour mixture in bowls or or glasses and put in the fridge for 3-4 hours. 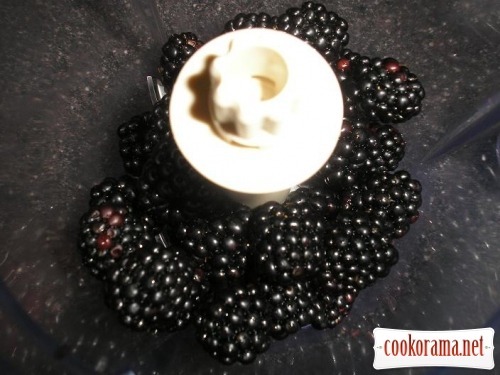 Top of recipe "Dessert with blackberries"